Following the coin ceremony, the dry dock facility was filled with water and the Carnival Breeze was floated out and repositioned to another dock where she will undergo final interior outfitting in preparation for her June 3, 2012 debut. Exclusive images and videos of the coin ceremony and float out, as well as the ship’s many features, are available at the company’s Facebook page (www.facebook.com/carnival) under the Carnival Breeze tab. 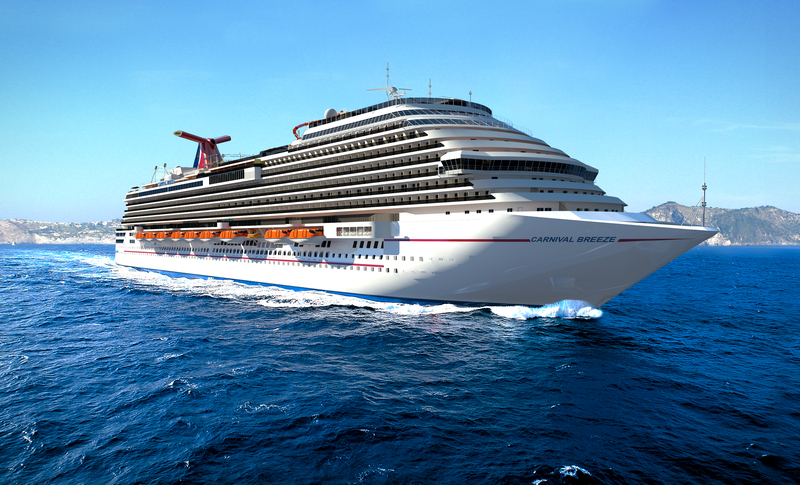 Carnival Breeze is scheduled to enter service June 3, 2012, with a special 12-day cruise from Venice to Barcelona, positioning the vessel for a summer schedule of 12-day Mediterranean cruises. Following its trans-Atlantic crossing, Carnival Breeze will launch year-round six- and eight-day Caribbean cruises from Miami November 24, 2012, becoming the largest Carnival ship to ever sail from that port.